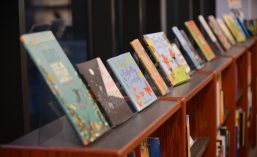 Arthur A. Levine Books, 2013. In the hilarious comedy Anger Management, Jack Nicholson’s character (a therapist) asks Adam Sandler’s character (an average Joe businessman) who he is (see video below). Adam Sandler answers with thoughts about his job, his personality, and his “likes.” Jack Nicholson pushes, and says “No, those are things ABOUT you. I want to know WHO YOU ARE.” An entertaining dialogue pursues, and the movie goes on. Quite the question, huh? Often times, when I get asked this question when meeting someone new, my stomach feels like someone forced Robitussin cough syrup down my throat (the worst thing I can remember tasting in my life). Who am I? A graduate student. A dog lover. A dancer. A musician. A writer. I work at a library and I’m a middle child and in my spare time I do aerial acrobatics and play piano. My favorite candy is Laffy Taffy. All of this is true. But is it really who I am? WHAT DOES THAT QUESTION MEAN? Part of the problem is that we aren’t defined just by our own labels. Other people have labeled me, and in ways I don’t always like. Blonde. Overly Sensitive. A Pushover. Sometimes, I believe or become those things because someone else labeled me that way. Labeling is a scary, slippery slope, and it happens every day to everyone. For a while, life is fabulous. Rafe discovers his love of sports, hones his gift of creative writing, and fulfills his desire to be seen as Rafe, not Gay Rafe. But of course, there is another boy in this book—a boy that Rafe falls for, and complication ensues. Konignsberg writes his first-person narrative with a quirky grace and his dialogue with honesty and intelligence. His ability to build relationships between characters and willingness to ask thought-provoking, challenging questions to his reader is exceptional. There’s still more to this book that I’m not including; something that is very hard to put into words. Alas, I will try. We all want to be taken for the entire, deeply layered, multi-dimensional person that we are. I know I don’t want one of my labels to define me, but I do want the sum of my PARTS to define me. There is a type of psychotherapy called “Parts therapy,” which is based on the concept that we are complex human beings that have many different parts within us. I have a sensitive Part, but I also have a bold Part. I am a creative artist, but I am also a researcher and scholar. I don’t want to get stuck in one Part, and I don’t want to get hidden beneath a Part so no one sees any of the other Parts. Is my sexuality important? Of course. Does it define WHO I AM? No, it’s a Part. There is no Me without every Part that exists within me, and if I deny a Part of me, I’m not really Me either. Parts are fluid. They are not static; they change as we change. 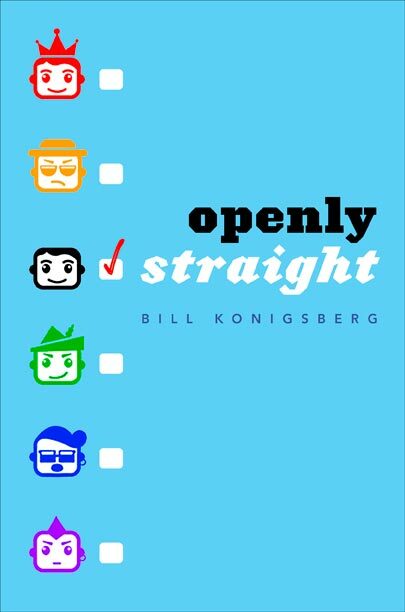 Openly Straight is poignant and powerful because it both asks and challenges the question: WHO ARE YOU? Rafe would have to answer that question for himself, but I’m guessing he would say that he’s many, many things, but most of all he’s human. I would tell him that I’m the same, and that I’m a system of Parts that all work together to create the one—and only—me.